The darkest chapter of the Assassin’s Creed® franchise, Assassin’s Creed® Rogue has been remastered for Xbox One and PlayStation®4 systems. The darkest chapter of the Assassin’s Creed® franchise, Assassin’s Creed® Rogue has been remastered for Xbox One and PlayStation®4 system, now featuring 4K resolution on Xbox One X and PlayStation®4 Pro (1080p on Xbox One and PS4™ system), high-resolution textures, and improved shadows and lighting in addition to several other graphical enhancements. 18th century, North America. Amid the chaos and violence of the French and Indian War, Shay Patrick Cormac, a fearless young member of the Assassin Brotherhood, undergoes a dark transformation that will forever shape the future of the colonies. After a dangerous mission gone tragically wrong, Shay turns his back on the Assassins who, in response, attempt to end his life. Cast aside by those he once called brothers, Shay sets out on a mission to wipe out all who turned against him, to ultimately become the most feared Assassin hunter in history. 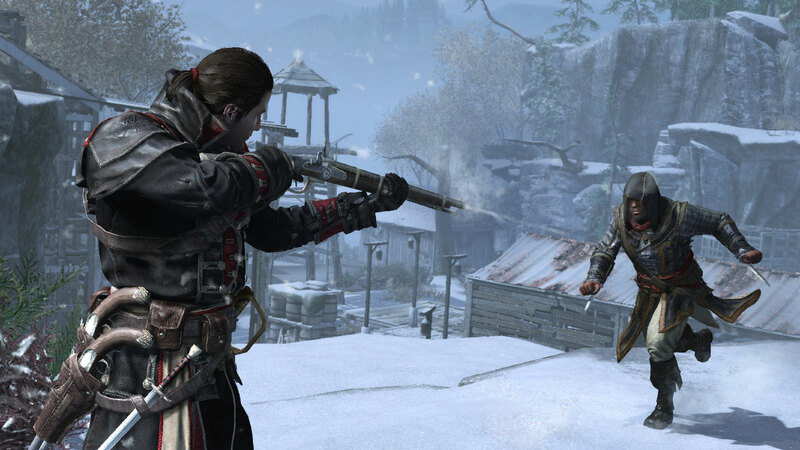 In Assassin’s Creed® Rogue Remastered, you will experience the slow transformation from Assassin to Assassin hunter. Follow your own creed and set off on an extraordinary journey through New York City, the wild river valley, and far away to the icy cold waters of the North Atlantic in pursuit of your ultimate goal to bring down the Assassins for good. 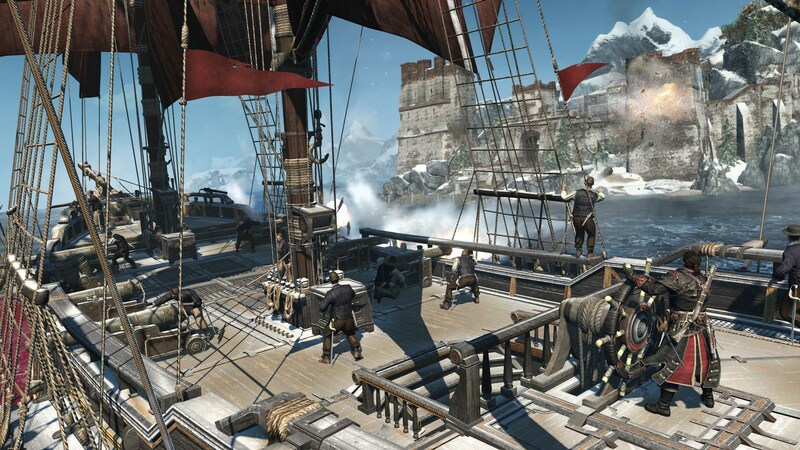 Play Assassin’s Creed Rogue with remastered visual improvements on next-gen platforms. • Upscaled graphical resolution allowing you to play in 4K on Xbox One X and PlayStation®4 Pro (1080p on Xbox One and PS4™ system). • Enhanced graphics with improved environment rendering, upscaled shadow resolution, denser crowds, and more. • Equip Shay’s deadly air rifle for both short- and long-range combat. Distract, eliminate, or confuse your enemies by using a variety of ammunition, including specialized bullets and grenades. • Protect yourself from hidden Assassins with your enhanced Eagle Vision. 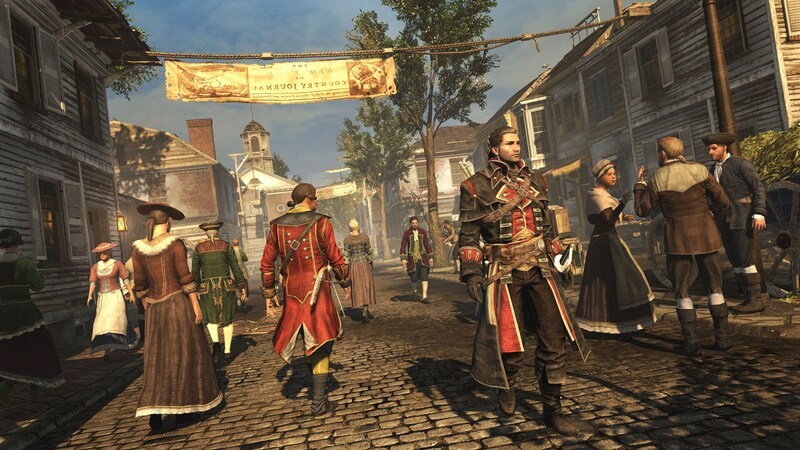 Constantly assess your surroundings and detect Assassins hiding in the shadows, along rooftops, and among the crowd. Assassin’s Creed Rogue Remastered builds on the award-winning naval experience from Assassin’s Creed® IV Black Flag®. Cast off in your ship, the Morrigan, and fight your way through the icy seas of the North Atlantic and the narrow waters of America’s river valleys. • Unpredictable enemy tactics: Defend yourself from Assassins as they attempt to board your ship and overthrow your crew. Fight them off quickly to avoid losing too many crew members. • A variety of weapons: Burning oil, which leaves a trail of fire behind to burn enemy ships, and the Puckle gun, capable of delivering continuous machine-gun-like fire. • An arctic world full of possibilities: Ram through ice sheets to discover hidden locations and use icebergs as cover during naval battles. • The North Atlantic Ocean – Experience the cold winds and towering icebergs of the arctic in this expansive naval playground. • The River Valley – A large hybrid setting of the American Frontier mixing seamless river navigation and ground exploration. • New York City – One of the most well-known cities in the world, fully recreated as it existed in the 18th century. • The Armor of Sir Gunn Quest where you’ll explore North America to find the remains of Sir Gunn and solve his great mystery. • The Siege of Fort de Sable including a bonus fort-raiding mission at sea, in the North Atlantic territory of the New World. • The Master Templar Pack including three outfits, weapons and items to customize your ship. • The Explorer Pack including weapons and items to customize your ship. • Legacy Assassin outfits including Altaïr, Ezio, Connor, Edward, Arno, Jacob, and Aguilar. 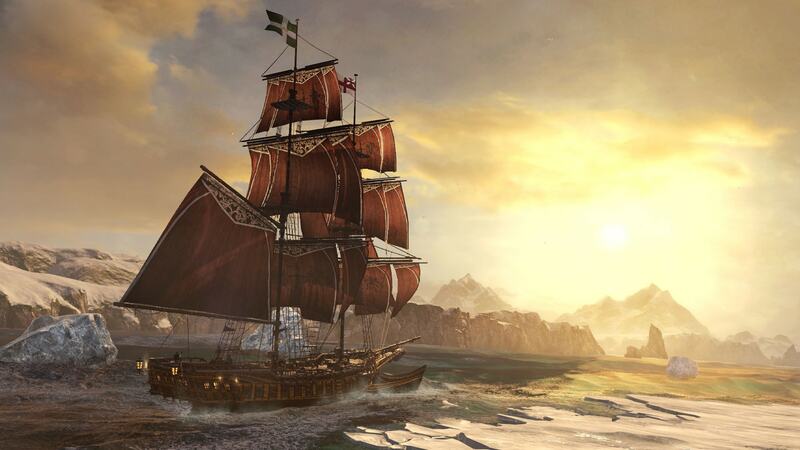 • The Jackdaw Pack including items to customize your ship.